For many of us, a large part of the day is spent at work; in fact, the average person will spend 90,000 hours at work over a lifetime. It’s safe to say a job can make a huge impact on one’s quality of life. Given the amount of time one spends at work, this gives employers a valuable opportunity to help an employee live a healthier life. It is estimated that over 30 million Americans — approximately 1 in 10 — have diabetes. Blue Cross NC data shows that there is substantial savings when employers can prevent the shift from healthy to pre-diabetes, and prediabetes to diabetes. The good news is the workplace can make an impact here. Employer wellness programs can do more than help employees manage the disease—they can also help prevent it. Avoidance and management of diabetes can be part of your overall corporate wellness initiative. 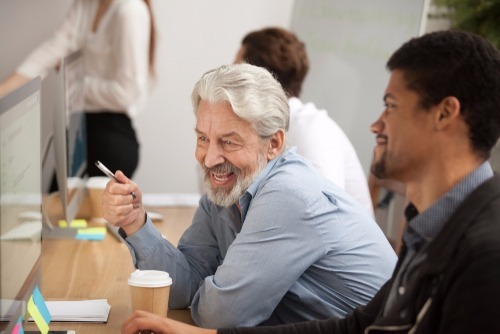 Employers not only have a responsibility to accommodate those with the disease but are also charged with creating a work environment that supports increased knowledge and adoption of healthy behaviors. Taking steps to do this at work is key. These steps include: raising awareness, providing opportunities for early detection, delivering prevention strategies and offering assistance with disease management. Biometric screenings give employees the opportunity to be aware of their numbers. When it comes to determining diabetes risk, numbers are an essential starting point. With a typical biometric screening, an employee will see his or her fasting blood glucose level and learn whether it is in range or at risk. A1C screenings are another way to determine diabetes risk. Although not always part of a standard biometric screening, you can talk to your screening vendor about adding this test. You can also consider a separate A1C check as part of a health fair event. A1C is a blood test used to diagnose diabetes as well as gauge how well someone may be managing his or her condition. Employers can be influential in helping educate staff. A strong program will take many opportunities to communicate with employees. Quality communications can inform employees by raising awareness of risk factors and offering education on how to make improvements. Using positive, branded materials that show your company’s investment in helping employees can give them the motivation to participate in programs and adopt healthy behaviors. Education and training can focus on behaviors, such as healthy eating, being active and disease monitoring to help those with or at risk for diabetes gain solutions to avoid or manage the disease. These sessions can also be geared towards family members helping those they love to prevent and manage their disease. When a workplace can help employees make wise food choices it can influence a person’s long-term health, and food, in particular, can be a contributing factor to diabetes risk. What your employees have access to can sway their decisions, so it is important to provide healthy food choices on-site. Consider practicing this by stocking vending machines with healthy options, bringing fresh fruit on-site, and not offering junk food during meetings and corporate events. Physical activity is an important component of diabetes prevention and management. Not every employer has an on-site fitness facility, but there are a number of other ways to incorporate fitness into the workday or as an employee benefit. Consider funding gym memberships, offering exercise classes on-site, allowing time during the workday for active breaks, subsidizing wearable devices and/or sponsoring community events (such as a 5k). Health education is an important follow-up to a screening that empowers employees to address any risk. Working with a health coach can help employees kick-start healthier behaviors. Consider offering on-site nutritional counseling or telephonic health coaching, and remove the barrier to participation by allowing time at work to have an appointment or take a coaching call. Offering wellness programs and challenges are a great way to not only foster engagement at the workplace but also a way to help employees take action towards adopting healthier habits that will reduce diabetes risk. Consider programs that focus on moving more, making healthy food choices and weight management (i.e., walking program). It’s important to support those dealing with the everyday management of diabetes by allowing time to monitor blood sugar while at work and/or time to take injections. Consider providing disposal receptacles for used needles in private areas like restrooms. Diabetics are three times more likely to die from the flu or pneumonia than those without diabetes; therefore, it is important to offer on-site flu shots as part of your wellness program. When considering the practice of promoting overall employee wellness at the workplace, diabetes should be high on an employer’s list of priorities. Company wellness programs are a useful way to provide employees with tools and resources to help—ultimately leading to a higher quality of life, reduced sick time and lower health care expense. How will you use your workplace to tackle diabetes?